U.S. Marijuana Party | "Overgrowing the Government"
The United States Marijuana Party – is a motivated group of Americans who are tired of living in fear of their government because of marijuana prohibition. We are fed up with the intrusion into our personal lives, with urine testing at work and at school, with armed home invasions, and with the possibility of prison because of a plant. WE are Americans and WE do not piss in a cup for anyone! WE feel it is time for the 20 million Americans who smoke marijuana on a regular basis to stop hiding their love for this plant and unite as one large body of voters to demand an end to the unconstitutional prohibition of marijuana and the drug war. The U.S. cannot lock up 20 million people. The War on Drugs causes more harm than the drugs themselves ever will. United WE are a potential 20 million vote political machine. WE want to live free and WE must be determined to stand up, be counted, demonstrate, rally, and write. Waiting for the government to silence us all in the American prison system is not an option! Too many of our brethren are there, in prison right now. More Americans are in jail today for marijuana offenses than at any previous time in American history. The war against marijuana is a genocidal war waged against us by a government determined to eradicate our plant, our culture, our freedom and our political rights. This factual story needs to be heard by everyone that lives in Kentucky. Immigration is poking its head once again thanks to President Trump and his push to build a wall on the southern border which has caused the longest government shutdown in American history. Illegal Immigration can be a problem, but a wall isn’t the way to go anymore, not in the day and age we live in. We need different alternatives and fix the problems that we have in this country that attracts illegal immigration. Rainbow Farm was located in Vandalia, Michigan & was a cannabis friendly community. They had great concerts & speakers. The government came in later & killed the owners & stole the farm from the legal birth right of the son, Robert, 1 week before 9-11 (September 3rd & 4th,2001). Tom Crosslin & Rollie Rolhm were the owners & each one of them were systematically gunned down & tortured after being out numbered 300 to 1. In order to stop a memorial day concert, that was to start a signature campaign to legalize cannabis in the state of Michigan. The Country as a whole has come a long way since the incident above in 2001, but it still has a very long way to go. 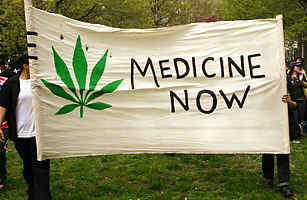 We have 11 “legalized States” and 33 “medicinal States” to date according to NORML. More than the majority of Americans believe it should be made “lawful”. Many sick people including children are suffering needlessly and we have the ability to help rectify the situation. We should not still have to be going to the Capital in Frankfort to beg for something that we should have had in Kentucky more than seven years ago. In fact, it never should have been “unlawful” to possess in the first place. The number of people who are dying in the streets has exponentially increased in the past 5+ years in earnest. The crisis was started by the Government and their Pharmaceutical cronies who promoted highly addictive opioid drugs for daily use to patients who were suffering and they bit the bait. After everyone was sufficiently addicted to the pharmaceuticals the Government claimed an “opioid crisis” and immediately withdrew these needed medications by way of intimidating the Physicians and forced drug testing to the point that the Medical Establishment could no longer take the chance of losing their Practice’s, and so they immediately withdrew needed medicines from Patients who legitimately needed them, as well as other’s who had become addicted for other reasons – and there are many reasons… This in turn caused people to literally die in the streets due to a dire need to medicate and the ample supply in the streets of much more potent and deadly drugs than what the Physicians had been prescribing them to begin with. Some of us were strong enough and smart enough to turn to Cannabis which saved our lives, even though it is illegal. A lot of us have lost close friends and family members to this ‘war on drugs’. Many of us grieve daily because of it. It would establish a lawful alternative to Alcohol and Tobacco and other illicit drugs, such as street level opioids which are destroying families and responsible for unending deaths even as we speak. Yet, to date, our Kentucky Government has refused to act upon this issue. Why has Kentucky Government taken such a path in governing of the people? For a more in-depth read on why and how our Country has fell into the hands of the NWO you can view this LINK. “The Elkhorn Manifesto” is an archived page of the Kentucky Marijuana Party, written in 1996 by R. William Davis, and collaborated with Gatewood Galbraith. Here we are, once again, in the year of Our Lord, 2019, begging for our leaders to hear our plea’s. And once again, they will try to ignore us! As far as I am concerned, the lawfulness of Cannabis should first have been rightfully returned to the people through REPEAL of Federal Treaties and Statutes which made it unlawful to begin with. Possibly as far back as the 1914 Harrison Narcotics Tax Act. However, the situation has been taken into the hands of the individual States and their “States Rights” because the Federal Government refused to stand up for the rights of our people. Instead they have enlisted a “New World Order” to do their dirty work which seeks to contain society at large – world wide control of the masses, control of all plants, food, medicines, WATER, etc., to be placed under strict guidelines to which we must abide by the rules or suffer the consequences. We have become damned if we do submit to the law and damned if we do not follow it as well. There is research already out there and patients are being helped and in some cases literally saved from an early death by using Cannabis. Many people have been saved from addiction by using Cannabis. We cannot wait another year to change the Cannabis Statutes in Kentucky. We need it now. We needed it 20 years ago. SB 80 / Dan Malano Seum / Establishes the “Department of Cannabis Control” which will oversee lawful consumption of Cannabis in Kentucky by adults 21 and over. This Bill gives limited and controlled freedom back to the people in that it does allow for growing on our own property and consumption as well as sets the stage for business to be lawful throughout Kentucky. This legislation could be enacted fairly quickly and jumpstart the economy here. It is imperative that we implement this legislation this year if we seek to make our State livable again. HB 136 / Establishes a very strict “Medical Cannabis” bill for bonified Patients. Because of the nature of illnesses and the fact that many Children could be served by this Bill it is imperative that “medicinal Cannabis” be made available in Kentucky to those who are in need, medically, whether they be adult or child. Many people who are not familiar with Cannabis and it’s use would serve to be protected as patients by this medical legislation. The problem is that with the measures necessary to comply with the Bill as it is written it would most certainly be a slow process to set up across the State and reach all patients equally. However, we should proceed immediately on this Act as well. SB 83 / Perry B. Clark “Shauna’s Law” Relating to a drug free workplace / Seeks to mandate an appeals process for those employer’s who enforce drug-testing upon their employee’s which will address those persons who have been found in violation of the drug-free workplace policy by testing positive on random drug screens for legal Hemp products such as CBD. It would set aside that violation if proven that a legal product had been used. This Bill must be passed in order to preserve the integrity of the Hemp market as well as employee’s rights. IF our Legislator’s and Governor do not seek to enact the Bill’s which we as a People have requested for our health and well-being in general, then the political system of the Commonwealth of Kentucky needs to be immediately and completely changed and replaced. This would also include other issues of great importance in Kentucky such as the Pension Crisis. The corruption in Kentucky runs far and wide and seeks to be ended this year. The time is now for change…not later. We cannot wait another year to be lawful! In a hat tip to marijuana culture, lawmakers on Capitol Hill have officially reserved the number H.R. 420 for a bill that would dramatically change federal cannabis laws. 420, of course, is a special number for marijuana enthusiasts, who celebrate the plant extra hard every April 20. The new bill filed in the House on Wednesday by Rep. Earl Blumenauer (D-OR) is titled the Regulate Marijuana Like Alcohol Act. If passed, it would remove cannabis from the federal Controlled Substances Act. This isn’t the first time that 420 has worked its way into official legislative numbering. California’s first effort to create statewide medical cannabis regulations was through a bill numbered SB 420 in 2003. In 2017, a Rhode Island senator filed a marijuana legalization bill given the designation of S 420. And on Capitol Hill, the first time the House voted on measure to block the Department of Justice from interfering with state medical cannabis laws, it was through an amendment considered under 2003’s Roll Call 420. The current legislation, which Blumenauer picked up from former Rep. Jared Polis (D-CO), who was sworn in on Tuesday as Colorado’s new governor, would also transfer cannabis enforcement authority from Drug Enforcement Administration to a renamed Bureau of Alcohol, Tobacco, Marijuana, Firearms and Explosives. A similarly renamed Alcohol, Tobacco and Marijuana Tax and Trade Bureau within the Department of the Treasury would also have oversight authority, as would the Food and Drug Administration. Federal permits would be issued for cultivating, packaging, selling and importing marijuana. Shipping or transporting marijuana into states that have not legalized it would be prohibited. Last Congress, Polis’s version of the bill garnered 26 cosponsors. Separately, Blumenauer recently released a step-by-step plan to federally legalize marijuana in 2019. 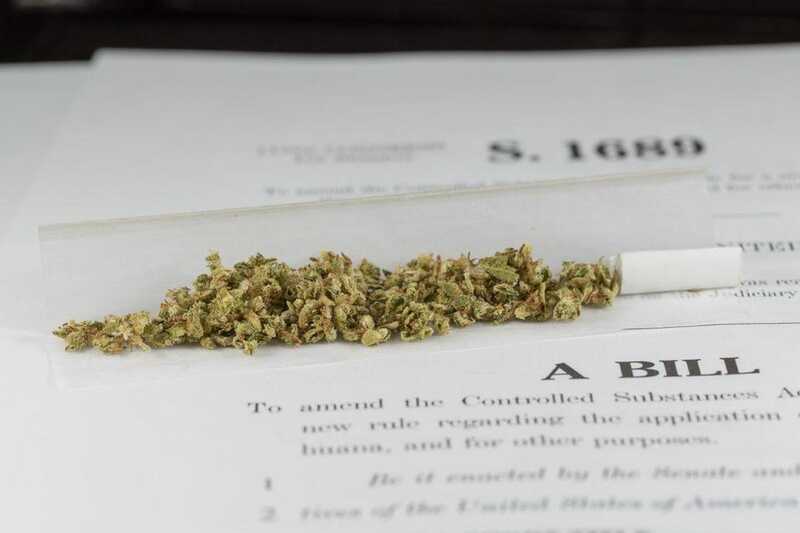 His new bill is the third piece of standalone cannabis legislation filed in the new Congress, which began last week. CLEVELAND, OH (WOIO) – CBD oil is available online, in every state and is commonly found on store shelves across Northeast Ohio; however, it’s illegal and can result in a felony charge. So, why the big confusion over the chemical compound? “I got pulled over in a traffic stop and long story short, they found CBD oil,” said Robert Faulkner. It was July of last year when Faulkner was arrested in Richland County. “I tried it for my anxiety. It didn’t work for me at that particular time and I just threw it in the back on my truck,” he said. Faulkner said he bought it from a store in Columbus. He said the oil was made and manufactured from a hemp store in Cincinnati. “I never went to the store and thought I was buying something that would potentially put me in prison,” he said. Faulkner was slapped with two counts of aggravated possession of drugs. He’s awaiting a grand jury trial for the felony charges. Here in Ohio, you cannot possess CBD oil. The laws aren’t stopping people from buying it and it’s not stopping stores from selling it. Faulkner believes the reason is there is so much confusion about the law. “I didn’t knowingly obtain everything illegal. I went to a store to try to help me with an issue I have,” said Faulkner. THC is the chemical compound responsible for the high in marijuana. The DEA says they’ve learned through science, that CBD will always contain some amount of THC, even trace amounts that won’t get you high. But given the presence of THC, the over-the-counter oil is illegal. 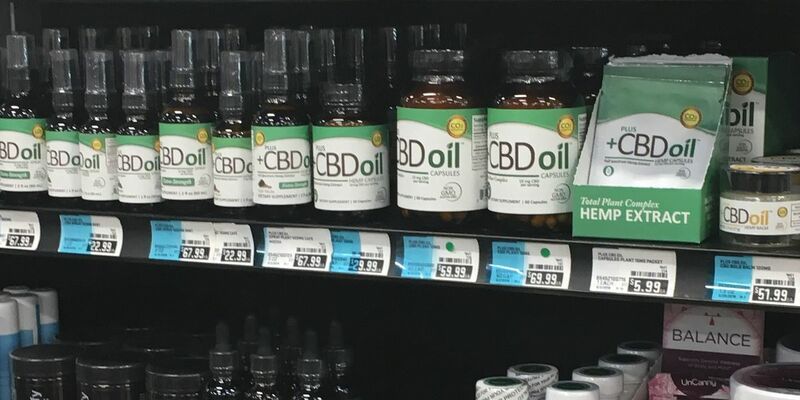 Cleveland 19 found two local stores with shelves full of CBD oil. We found in some states, like in Texas, police are raiding stores who are selling CBD oil. So why isn’t that happening here if it’s illegal? The DEA wouldn’t say, but did say stores selling it aren’t immune from federal investigation. Faulkner says he hopes officials and lawmakers can help make the laws more clear so this doesn’t happen to someone else. CBD is covered by Ohio’s medical marijuana law–and will be available to those with a medical marijuana card. The FDA recently approved a CBD oil medication that is used to help treat epilepsy. It can only be prescribed by licensed doctors. NJ Weedman – “Mission accomplished…all good”! Today in front of the New Jersey Statehouse NJ Weedman, Ed Forchion , followed by Vice News, made his way outside the window of Governor Murphy and asked him to “Veto the Bill”. In the video above he tells everyone about it! Although I could not find a copy of the Bill as it has NOT been released yet, I did come across a website named NJ Cannabis Insider that stresses the need for financing in excess of $1 to $2 MILLION DOLLARS needed for a startup! That would pretty much a guarantee that only well financed Corporate Entity could apply. It also stresses that you must have a clean background – which would automatically eliminate anyone ever charged with any kind of Cannabis possession or trafficking. Again, guaranteeing that only Corporate Entities with a well documented background should apply! This is why Ed Forchion is asking that the Bill be vetoed as it stands. This is a good example of the difference between legalizing and repealing the prohibition of Cannabis altogether. Repeal would ensure that everyone has equal rights to a plant which God had put on Earth for everyone’s use. Legalization limits that plant severely and makes sure only the wealthy will dominate its very existence leaving everyone else open to prosecution as usual. If there are no growing rights then there are no rights, period. NJWeedman: Who Benefits from New Weed Law? Legal marijuana is coming to New Jersey (probably). But when? A man in Malaysia was sentenced to death after giving medical marijuana to patients in need. Malaysia remains a potentially dangerous place to engage in anything related to medical marijuana. And that includes distributing it free of charge to patients who could benefit from it. Just last week, a man was sentenced to death for giving medical grade cannabis oils to patients in need. On August 30, a judge in Malaysia sentenced Muhammad Lukman Bin Mohamad to death. The sentence came after the judge found Lukman guilty of breaking the country’s notoriously strict anti-cannabis laws. According to local news sources in Malaysia, Lukman was arrested when authorities discovered just over three liters of cannabis oil. Additionally, he was found in possession of 279 grams of compressed cannabis. All of this occurred in December 2015. Now, nearly three years after being arrested, Lukman received his sentence. Specifically, he was found guilty of breaking Malaysia’s Dangerous Drugs Act of 1952. Given that cannabis remains an illegal substance in Malaysia, the judge ruled that this law applied to Lukman’s case. Lukman is now being held in Kajang Prison. At this time, sources indicate that he plans to appeal the decision in the country’s Court of Appeal. Throughout Lukman’s case, his defense argued that his acts did not constitute drug trafficking. In particular, they focused on the fact that he was not distributing recreational drugs. Instead, defense lawyers argued, Lukman was distributing medicine to patients who might not otherwise be able to get it. Further, the defense pointed out that Lukman was not making a profit. Lukman was in fact working in cooperation with an organization that educates the public on issues related to medical marijuana. Lukman was not profiting from his distribution, either, since patients who could not afford the product were given it for free. In addition to all this, Lukman and his defense team pointed to the growing body of scientific evidence supporting the medical use of cannabis. Despite all this, the prosecutors maintained that Lukman still broke the country’s laws prohibiting all forms of marijuana. They also claimed that although marijuana is increasingly accepted throughout the world, there is nothing in Malyasian law that allows for the medical use of cannabis. Malaysia has long had some of the world’s most heavy handed anti-cannabis laws. Most obviously, this reputation comes from the fact that a person can still be sentenced to death for breaking certain drug laws. But Malaysia isn’t the only country where a person can be sentenced to death for possessing, distributing, or consuming cannabis. In fact, there are still a surprisingly large number of countries throughout the world with these types of laws in the books. Along with Malaysia, this list includes countries like China, Egypt, Singapore, Myanmar, Philippines, Nigeria, and several others. Trump wants the death penalty for drug traffickers. He’s got it. If it can happen there, it can happen here! 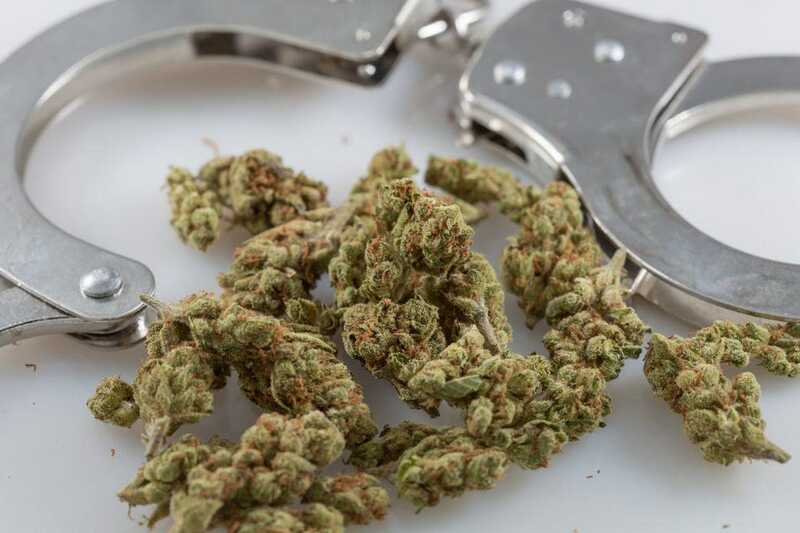 Marijuana arrests are rising in the U.S., even as more states legalize cannabis. There is now an average of one marijuana bust roughly every 48 seconds, according to a new FBI report released on Monday. The increase in marijuana arrests—659,700 in 2017, compared to 653,249 in 2016—is driven by enforcement against people merely possessing the drug as opposed to selling or growing it, the data shows. Last year, there were 599,282 marijuana possession arrests in the country, up from 587,516 in 2016. Meanwhile, busts for cannabis sales and manufacturing dropped, from 65,734 in 2016 to 60,418 in 2017. The increase in cannabis possession arrests comes despite the fact that four additional states legalized marijuana on Election Day 2016. While among those states, legal recreational sales were only in effect in Nevada by the end of 2017, the prohibition on possession for adults was lifted soon after the successful votes there as well as in California, Maine and Massachusetts. “At a time when more than 100 deaths per day are caused by opioid overdoses, it is foolish to focus our limited law enforcement resources on a drug that has caused literally zero,” Don Murphy, federal policies director for the Marijuana Policy Project said in an interview. Overall, marijuana arrests made up 40.4% of the nation’s 1,632,921 drug arrests in 2017. Drug arrests as a whole also increased last year, up from 1,572,579 in 2016. There is now a drug bust every 19 seconds in the U.S.
Tom Angell publishes Marijuana Moment news and founded the nonprofit Marijuana Majority. Follow Tom on Twitter for breaking news and subscribe to his daily newsletter.